Staying Healthy & Active in 2019! There has been much reported over the last 12 months about how the benefits of keeping active can help improve both your health and your emotional and mental well-being. Whether you are training for a marathon, attending a yoga class or spending a few hours gardening, being active can bring many benefits. Age is also no limitation to the activities that you can take part in. Many schools have introduced more physical education classes and after school clubs offering activities and those in their ‘golden years’ are taking up more activities than ever before – often so they can keep up with their grandchildren! In the past someone with a disability, complex learning need or in need of additional support would not have been able to take part in being active, however over recent years this has changed; the Invictus Games now offers ex-serving military personnel who have been wounded in action the opportunity to complete (watch out for the next Games at the end of October in Sydney!) The profile of the Paralympics has grown hugely and is now encouraging the next generation of sportsmen and women to pick up a javelin, put on a pair of swimming goggles or lace up a new pair of running shoes! Cancer Research UK reported that 4 out of 10 cases of cancer could be prevented by a change in lifestyle – that’s 135,000 lives that could be saved. The charity Mind explains why taking up an activity can help those with mental health issues. Many charities offering support to those that have a ‘visible’ disability report that individuals become more confident once they take up an activity, which can lead to them taking a greater responsibility for their overall well-being. However, it’s not just about staying active. Sometimes it can be about changing several elements of your lifestyle in order to help your physical and mental well-being. The NHS has a great resource that gives advice and guidance on making changes across the different aspects of your life – eating well, quitting smoking, maintaining a healthy weight and taking exercise are just a few of the different areas. There is also the social side of taking part in an activity. We all have days when we feel our energy levels are low and we would rather sit with a good book or the TV remote control, but if a group of people are relying on you as part of an activity, then this motivation can get you out of the door and into a place of positive energy. Meeting up with people who have a shared interest is often one of the strongest bonds outside of a family unit – it can bring you close to like-minded people who have gone through similar experiences to you and you can share your stories. You don’t have to train for the Special Olympics or take up long-distance running as part of the England Athletics team – although you could if you wanted to! You also don’t have to wait until January to take part in an activity or change another element of your lifestyle. Even the smallest of changes now can start to reap rewards in a matter of weeks. Having a disability, whether it is visible to other people or not, may have stopped you in the past, but please don’t let it stop you in the future. A member of the MyLiferaft team was invited to attend the National Junior Games at Stoke Mandeville Stadium a few weeks ago with Wheelpower and was amazed at the different activities that are now available and the positive almost electrical atmosphere. See their website for more information. Staying Active also doesn’t have to mean you build up a sweat! Walking and gardening have both been recognised as having great benefits to both your physical and mental well-being, and being outside is an added bonus – even with our Autumn weather approaching! There is no sport that isn’t available to people with a disability; Some of the lower impact sports you might consider include yoga, pilates, swimming, aqua aerobics & bowls. To pick up the pace, dancing, cycling, athletics and court-based activities are just a few of the ‘higher intensity’ activities that you can take part in and being in a wheelchair doesn’t mean you have to sit on the side lines as a spectator. The British Wheelchair Athletic Association (BWAA) has the pentathlon as a discipline which involves completing 5 different sports and Wheelpower will put you in touch with organisations that can have you using your wheels for table-tennis, basketball, bowls, curling & rugby! Fencing, tennis, ice-hockey, rowing, gymnastics, cricket, canoeing, archery and angling are also available so finding an activity to suit you is easier than you think! As well as using MyLiferaft to keep a record of medical appointments, treatments and medications, you can also use it to help motivate you to stay active and healthy! You can Share all of this information with family, friends and professionals within your care circle, so when you achieve your goals, you can tell everyone! We have created 2 packages to give you the flexibility to choose the MyLiferaft account that works for you and you family. Choose from either our FREE Standard account or upgrade to our Premium account which gives you unlimited access to Trackers, Reports and Goals as well as the ability to share the information with as many people as you wish. To try MyLiferaft now, click here. To find out more about MyLiferaft, click here. There are now so many different organisations offering sporting opportunities and activities that it is difficult to get all the information in one place! Below are several of the organisations that we have found that specialise in offering activities to the disabled and those with additional needs. You can find even more in the Sports & Activity section in the MyLiferaft Resources on our website. Christmas should be a time of good cheer, festive family get together’s, the giving and receiving of thoughtful gifts and delicious food, however we are all realistic enough to know that this is not always the case! Have you remembered to write all the Christmas cards? What about a present for the baby-sitter, dog walker, awkward colleague?! Do you have enough wrapping paper and Sellotape; where did you last spot the scissors?! If you are hosting Christmas Lunch, do you have any vegetarians to cater for? Where are the spare bulbs for the fairy lights?! Take a break from the family – it is absolutely OK to take a ‘time out’ from your family and spend a few minutes by yourself. Whether it is your immediate family or a distance relative, there are going to be points during the festive period when leaving the room is most definitely going to be good for your well-being! Spend time ‘unplugged’ – lots of presents are going to be electronic, battery operated, make noises and if all of your family are using them at the same time, they could drive you all to distraction and you spend precious time not truly being together. Allocate some ‘turn off’ time and go for a walk, play a game or crash out round a Christmas movie with a selection box – just make sure you do something together! Make time for exercise – for many, the festive season is a time of excessive eating and drinking and even the strictest of exercisers may take some time off! This is OK, but remember that even going for a walk with your family counts as exercise as well as spending time together! Exercising will lift your mood, make you feel better and burn off a few turkey calories! 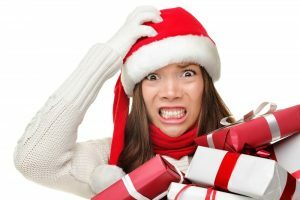 Avoid excessive alcohol – most de-stressing articles will tell you to avoid alcohol altogether, but let’s be realistic, it is Christmas and the odd over-indulgence is going to happen! Try not to do over do the alcohol as it can hinder sleep, dehydrate you and make you more prone to stressful situations. If you do partake, drink water steadily throughout the day as this will go some way to helping the situation. Know when to stop – perfection is over-rated! The Christmas holiday is about everyone and that includes you! There will always be some last-minute hiccups on Christmas Eve and someone is bound to want something you don’t have for Christmas lunch, but take a deep breath and remember to enjoy yourself! 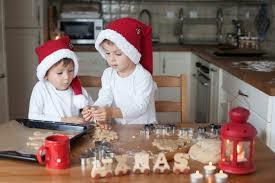 If you are into baking, then baking some Christmas biscuits and then letting the children go mad decorating them is brilliant, albeit a little messy, but at least you have a treat for afternoon tea! To see more ideas and suggestions for school holiday activities, see our Resources. We would love to hear from you at info@myliferaft.com if you have a festive activity that you would like to share with the rest of the MyLiferaft community! Have fun! Christmas is a time for family, friends, laughter and love, too much food and raiding the chocolates and mince pies! If you recognise some of the things from our list above in advance, you will hopefully be prepared for them and manage to keep hold of your ‘ho ho ho’! If things don’t go to plan, try not to worry about them – you could actually be making a fun memory you can talk about in years to come: “Remember that time that Mum set fire to the sprouts! Lots of love & festive wishes from Nicola and the MyLiferaft team. 6,000 people become carers every day? 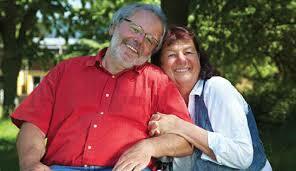 Between 6-7 million people in the UK are carers for a loved one? Every year Carers UK hold a Carers Rights Day (30th November) and this year, MyLiferaft wants to celebrate that day to highlight this amazing group of individuals. 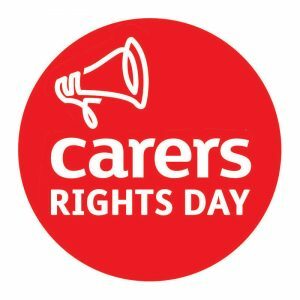 Carers Rights Day brings organisations across the UK together to help carers in their local community know their rights and find out how to get the help and support they are entitled to. It raises awareness of the amazing work that unpaid carers carry out selflessly across the UK every day. 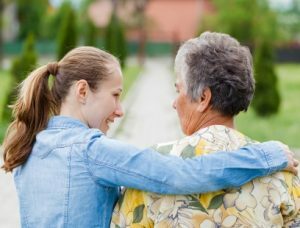 A carer is anyone who cares, unpaid, for a friend or family member who due to illness, disability, a mental health problem or an addiction and would not be able to cope without their support. Anyone can be a carer – a 12-year-old girl looking after a parent with an addiction problem, a 40-year-old man caring for his partner who has terminal cancer, or a 75-year-old man looking after his wife who has dementia. Money, benefits and entitlements – there can be a financial cost linked to looking after someone. Many carers have to give up work or reduce their hours putting them under financial pressure. The cost of equipment and aids, washing, heating, lighting and travel can all add to the financial burden. Carers UK have a ‘Help with Benefits’ section on their website that can help you find out what you are entitled to claim for. Looking after yourself – caring can be emotionally and physically exhausting which can lead to depression, stress and other mental health issues. Please see our Resources section for a list of organisations that can help you. Getting out and about – caring for someone can be very isolating and you may find it difficult to leave the house. Try to find a local carers support group as they understand what you are going through and will often have regular support meetings with other carers. Working and learning – young carers can find it difficult to attend school and when they are there, will often be bullied. For those who have paid work outside of caring for a loved one, it may mean that career progression or promotion will need to be put aside. The Carers UK website has all the information you need to check if you are eligible. Please note that there are sometimes different allowances and benefits applied for carers in Scotland. We want to help you reduce repetition and free up time to do the things you enjoy. Our Standard service is FREE and you can try it now – just click here. At MyLiferaft, we aim to give you everything you need in once place and this includes where to go for advice, information and support. Our extensive list of resources has a specific section for carers with links through to organisations such as Carers UK and Carers Trust, however there are also sections covering other topics such as bereavement, Alzheimer’s, dementia, NHS resources, bullying and school holiday activity suggestions for children with a disability. 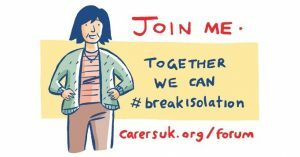 Carers UK operate a members’ only forum that gives carers the ability to share information, support each other and have access to an online community that understands what you do. To find out more, click here. Self Care Week is an annual national awareness week that focuses on establishing support for self- care across communities, families and generations. More needs to be done to support people to better look after their own health. Empowering individuals to self-care has many benefits for their short term and long term health and this is important since people are living longer. Helping people to look after their own health, and their family’s health also helps to manage demand on health services. Set up by the Self Care Forum, Self-care Week provides people-facing organisations with a focus to hold a targeted campaign to support people to take care of their health and well-being and improve their understanding of doing so. Self-care messages are maximised when repeated by many voices through different mediums at the same time, making a greater impact and reaching more of the population. The theme this year is Choose Self Care for Life which is suitable for self-care messages for all ages and genders and will allow you flexibility to focus on your particular area of self-care whether it is prevention, mental well-being, self-treatable conditions, signposting, self-management, antibiotic use or health literacy. 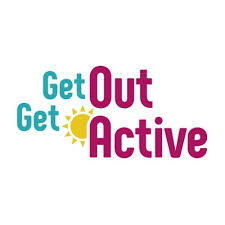 • Get active; advice is to exercise for at least twenty minutes a day, it’s ideal if you can incorporate this into your day by ditching the car and walking to work, or walking the dog, taking the stairs or even dancing around the kitchen table to your favourite songs! • Eat well. We all know that healthy eating is crucial to our health so we can start by swapping unhealthy snacks for healthy options such as nuts, seeds and fruit. Ask your pharmacist for advice on managing your weight. • Make positive changes! Take steps to stop those bad habits that don’t serve you well. This Self Care Week plan to stop smoking, reduce alcohol intake and get active! Your pharmacist can help with lifestyle changes such as weight management and stop smoking services. • Rest. A good’s night’s sleep is as essential to our health and well-being as eating healthily and exercising so, make sure you get the recommended 7-8 hours a night! • Stop! These days we lead have such busy lives that we sometimes forget to slow down and stop. Find time in your day to just quieten your mind. Mindfulness or yoga might be helpful. Pharmacists are highly trained health professionals who give advice and recommend treatments for self-treatable conditions such as coughs, colds, sprains and strains. 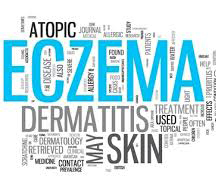 People go to the doctor with common ailments because they are unsure how long symptoms last and need reassurance that it isn’t anything more serious. Instead of waiting for an appointment at your surgery, consider going to your local pharmacist first. They will help you choose the right treatment for your ailment and can explain the normal duration of symptoms. They can also offer you help to stop smoking, manage your weight, and can often provide flu jabs and blood pressure checks. Many pharmacies also have private consulting rooms. If you have a cold or flu virus it is worth remembering that antibiotics won’t help. In fact, taking them can reduce their effectiveness when they’re needed for ailments they can help with. The main aim of Self Care Week is to support the idea of keeping on top of your self-care routine. When we designed the MyLiferaft application, we knew it was key for both carers and individuals themselves to have the ability to track their health in a safe, secure manner. With MyLiferaft, you can capture important information such as medical appointments, dietary requirements, mental health and lifestyle updates. It’s also a great motivational tool, as you can add your goals and track your progress against them. Feel empowered by incorporating Liferaft into your own care plan, or within the support system for the person you care for. We have created 2 packages to give YOU the flexibility to choose the MyLiferaft account that works for YOU and YOUR family. Choose from either our Free account or upgrade to our Premium account which gives you unlimited access to Trackers, Reports and Goals as well as the ability to share the information with as many people as you wish. Find out more here. There are now so many different organisations offering advice on self-care from food and nutrition, exercise and activities, health and well-being that it is difficult to get all the information in one place! However, the MyLiferaft Resources has a comprehensive guide to all this information and more – everything you could ever need to make sure you are caring for YOU! Use the Categories filter to choose your subject heading or select alphabetically. The National Anti-Bullying Week kicks off in a few weeks’ time, but we wanted to focus on bullying as many children and their parents go back to school this week. As we start a new term, it is possibly a time to reflect on the first 6-7 weeks of the new school year that started in September. New friendships may have been made, new feelings of how seeing different groups of children behaving at school and in some cases, children being on the receiving end of bullying. As parents and guardians of children – there’s much more to worry about. From helping with homework to preparing packed lunches and meeting the teachers and classmates, we’re fully involved with every aspect of our child’s education. If your child has a disability, he or she may be seen as ‘different’ to their classmates and this can sometimes lead to hurtful and bullying behaviour. A lack of understanding of different disabilities and conditions. Not recognising that they are being bullied. They may be doing different work or have additional support at school. They may be more isolated due to their disability. They may have difficulties in telling people about bullying. They may find it harder to make friends. For some parents, it can be difficult to understand what constitutes bullying. 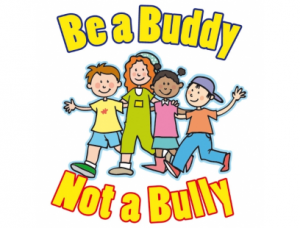 Put simply, bullying can be anything from name-calling to acts of violence. Mencap outlines bullying as ‘repeated negative behaviour done on purpose to hurt someone. Often a person or group targets another person or group to make them feel embarrassed, insecure or scared. gossiping or talking negatively about them behind their back and trying to get others to join in. being pressured or forced to give money. With the innovations in technology and social media in recent years, it’s now much easier to be connected to others online through the likes of Facebook, Twitter and Instagram or WhatsApp. As a consequence, there has been a rise in online bullying which can take many forms. According to Childline, cyberbullying ‘is using the internet, email, online games or any digital technology to threaten, tease, upset or humiliate someone else’. Sometimes cyberbullies target people anonymously or with fake accounts. Someone may pretend to be your friend, but then ask you to do things that make you feel uncomfortable, like send them a naked picture of yourself. Whether or not your child has reported bullying to you, the start of a new term is a great opportunity to discuss bullying with your child. Let them know that if they ever feel they are being bullied, they should talk to someone that they can trust. Reassure your child that nobody deserves to be bullied. What if your child tells you they are being bullied? Remember it can be extremely daunting for a child to talk about such a sensitive issue and they may have found it hard to confide in you, so it’s crucial to remain as calm as you can and listen to everything they have to say. You will need to determine what the appropriate action to take will be, while making sure you keep your child involved with the next steps. This could be familiarising yourself with the school’s anti-bullying policy and arranging a meeting with a teacher if it’s a school-related incident, or helping your child block and report online bullying on social media. There are many charities and organisations set up to support you and your child in confidence, with help and advice from trained counsellors, and plenty of resources available online too. There are many different organisations that can help and support you if you find that your child is being bullied. Below are just a few – you can visit the Resources page on our website for lots more. 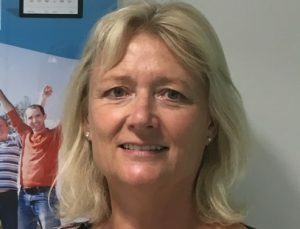 A successful business entrepreneur, Nicola set up the first centralised electronic clinical trial records solution for the pharmaceutical industry in 1998 (leaving in 2011). As a mother, Nicola’s 1st hand knowledge of looking after her daughter Faith, who had multiple complex special needs, created a desire to make sure other parents and carers in her position were better supported. 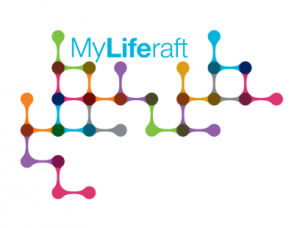 MyLiferaft started taking shape in 2014 and is now a successful personal management solution for care and health data belonging to the person, with data being owned by the person and shared with the care circle as well as health and social care professionals as required. What was the driving force behind developing MyLiferaft? Wanting to help make the lives of those who are caring for someone, or themselves, better. I’ve had first-hand experience of how exhausting it can be – people struggle on in a heroic way. It’s time to ensure that we use modern technology to help with care, and to help streamline services. In your experience what was one of the biggest challenges you faced as a parent with a daughter who had complex special needs? Balancing the needs of the whole family. When one member of the family necessarily requires huge amounts of additional time and energy, exhaustion quickly kicks in. You mention about the constant repeating of information when visiting different specialists; how crucial was this in developing MyLiferaft? It’s distressing, invasive and tiring to have to go over painful, very personal, information to strangers. I had to re-live the moment of learning that my daughter had been born with a profound disability over and over as each new professional came into the resulting large circle of people around us. With MyLiferaft, all that information is held in the system, ready to share without it bringing back the emotional pain quite so much. Crucially, up-to-date care information is also available ensuring continuity of care. With my daughter, I carried all the intellectual knowledge of her ways, likes, dislikes and how to look after her with me, either on paper but mostly in my head – with MyLiferaft this information can be captured in real time and relayed to others wherever you are. I’ve seen avoidable distress – people who are already in such a painful place, emotionally, physically or both, suffer even though everyone around them wants to do their best for them but can’t because they are just not aware. With Liferaft, carers get a better chance too, information is key to successful caring. The Sofia’s Story video tells a strong message; was this based on your own experiences? To an extent, yes it was and when I saw it for the first time, I realised how true and powerful it is. 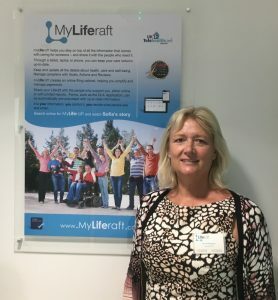 We wanted to show visually how one person’s disability can affect so many people and how MyLiferaft can help bring all those people together through using an online system with the individual at the centre. What was your background before launching MyLiferaft; what skills helped you? For most of my life I was a stay at home Mum, though I had been given a good background in business before that working for the family firm. I was a bit of a late developer, and began my previous business in my forties. It was very fast growing and successful, and meeting unexpected challenges was a daily occurrence. Through looking after my daughter, I had developed good coping strategies, these without doubt helped me in my demanding business life. Have there been any unexpected challenges when you launched MyLiferaft? Communicating the requirements of a specialist product to the Software Developers who have to build it! Luckily, Matthew, our CTO, is brilliant at taking our ideas and translating them to the software team. Working with a brilliant team, and seeing thoughts develop into a really good, useful product. How do you see the portal developing? What we have now is only the beginning – we are already working on accessibility, voice (Alexa) capability, and making condition specific versions, and have expanded the capability to self-populate forms such as Disability Living Allowance. 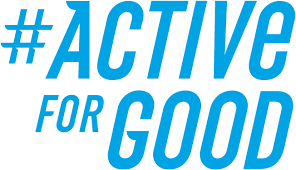 You are very active in your local community with local charities, can you tell us a bit about this? When possible, I take my Carriage Driving pony (Fred) to the Isle of Wight Driving for the Disabled group where people enjoy forgetting about their disability for a while as they take the reins and trot around the beautiful grounds of Osbourne House. I also support my colleague Gail, who works tirelessly with Pat A Happy Pony – we actually take my cute little miniature Shetlands into care homes and the faces of the residents are a delight to see! To help you kickstart your new ‘getting active’ regime, we are offering our Premium account FREE for a year to all new subscribers during January! Just use the code FESTIVE18 when you set up your account and our normal annual charge of £120 is waivered! 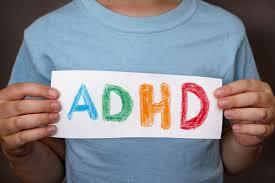 ADHD (attention-deficit/hyperactivity disorder) is a serious health concern . 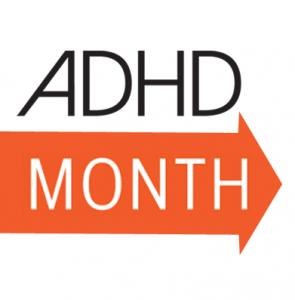 The mission of ADHD Awareness Month is to educate the public about ADHD by sharing information based on the evidence of science and peer-reviewed research. The theme this year is Setting the Record Straight – if we raise awareness of ADHD and spread the word, then life can be better for everyone, especially those with ADHD and their family and friends. The Young Minds website defines ADHD as “having lots of energy and finding it difficult to concentrate. It can be hard to control your speech and actions”. Children with ADHD may also have difficulty controlling their impulses and paying attention. All this can be very disruptive both at home and at school. ADHD is often difficult to spot, as being a ‘naturally’ energetic child may not manifest itself into anything other than being full of ‘controlled’ energy. ADHD can be spotted in babies as young as 18 months, but becomes more obvious between the ages of 3 and 7 and is the most common behavioral disorder among children. On average, more boys than girls are diagnosed, with one of the early signs being unable to concentrate. ADHD can also manifest itself in adults who may have trouble managing time, being organised, setting goals, and holding down a job. They may also have problems with relationships, self-esteem, and addiction. Attention Deficit Disorder (ADD) has similar symptoms to ADHD, however these manifest themselves primarily in difficulty concentrating and less hyperactivity. For ADHD symptoms in adults, please see the WebMD website. If you experience one or more of these symptoms, it doesn’t mean you’re definitely affected by ADHD. It’s important to talk to your GP to get a full diagnosis. ADHD can be known to run in the family. Medication – called stimulants, these medications can help control hyperactive and impulsive behaviour as well as increasing the attention span. Therapy – these focus on changing behaviour and can include special education, behavioral modification, psycho-therapy and social skills training. Support groups – meeting up with and talking to other individuals who have ADHD or as a parent carer, can often open up possible solutions that have worked for other people that you can try. How Can MyLiferaft support people with ADHD? Keep track of moods, behaviour and medication using our Trackers so you can spot trends in frequency and potential triggers. Use the Appointments section to help you manage your diary when booking meetings with teachers, GP’s and health care professionals. You can agree and document an education/behaviour support plan using the Goals Consistency is important in achieving results so sharing Goals with everyone involved means everyone responds in the same way which can help achieve the outcomes you are seeking. You can Share information 24/7 to those within the care circle and they can add Comments giving details of the day’s activities, what has gone well/not so well, what specific environments may have impacted behaviour that day i.e. school, a loud supermarket, going into an underground car park etc. You can download and use the Reports in MyLiferaft to help with creating a pathway to an official diagnosis. 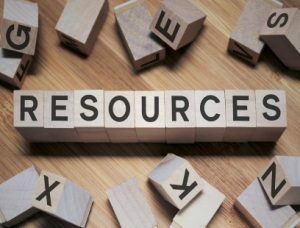 As well as the websites list below, we have an extensive list of ADHD resources on our website which is available to you to access. If you have a website you have found useful that does not appear in the list, please email us at info@myliferaft.com so that we can share it with other people. 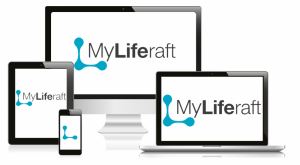 Additional Note: please note that MyLiferaft is an online solution to help manage your health, care and well-being. The information in this blog has been adapted from several of the websites listed in the Resources paragraph. For further help and advice on ADHD, please refer to your GP.